Just after her return to the field, Midge Purce is injured and out yet again while Seattle Reign sign forward Jaycie Johnson. Heading into another week of the National Women's Soccer League we see one player injured and another one signed. Midge Purce suffers an ankle injury that benches her where as Jaycie Johnson recovers from a knee injury and signs with Seattle Reign FC. 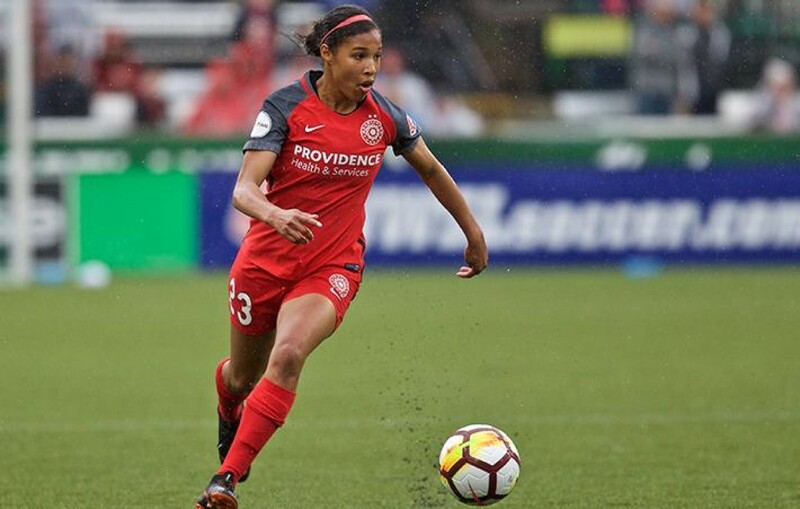 The Portland Thorns midfielder made her return to the field after being injured at a USWNT training camp against Utah Royals FC. In the 45th minute, Diana Matheson made a late and dangerous tackle against Midge Purce that would lead to an early substitution of Purce. At the time of the tackle, Matheson was given a caution but the NWSL Disciplinary Committee has now suspended Matheson for one game. It was announced that Purce suffered a right ankle sprain and will miss the next 4-5 weeks. Mark Parsons told The Oregonian that he hopes her return will be sooner but for now the timeline is 4-5 weeks. This is a blow to Portland seeing has she has a key part in Portland's line-up. Luckily for Portland they just welcomed back Australian Hayley Raso that will add that extra fire power to the squad. Seattle Reign FC announced the official signing of forward Jaycie Johnson. Johnson trained with the Reign during preseason and was apart of the roster as a non-roster invitee. She was originally signed as a National Team Replacement Player back in March but then suffered a knee injury that then sidelined her for the season. Now that she has recovered, the Reign removed her from her National Team Replacement contract and extended a standard NWSL player contract to her. Johnson was drafted from the University of Nebraska with the 27th overall pick in the 2017 NWSL College Draft by the North Carolina Courage. Johnson was unable to play in the 2017 season due to a knee injury. Johnson scored 42 goals in college and was named to the All-Big Ten First Team her senior season.